Trends should never be taken too seriously. While they can be fun to experiment with, chances are they will go out of style as quickly as they came in. That’s not to say you shouldn’t incorporate them into your home, don’t spend too much money or do anything you can’t undo. After all, trends change, and once they go out of style they’re not just unliked, they’re often downright hated. Here are some of the worst decorating trends of the last 50 years. Remember avocado and harvest gold kitchen appliances? How about pink and turquoise bathrooms? Yeah, most people do and wish they didn’t. Ah, what would the 1970s be without macramé? Particularly plant holders and wall hangings. In 2013 the home décor industry went into a bit of a panic when it was suggested that macramé was making a comeback, but thankfully it fizzled out before it caught too much steam. Sure, you’ll be able to wipe up spills and pet hair but, um… (does it even require an explanation?) Needless to say, if you do find yourself somewhere that has plastic covers on the sofa make sure you’re not wearing shorts. Some are good, but most are bad. If you decide to go faux, the smaller, the better and use them sparingly. If you have the choice, always go for real. They’re not just suitable for your décor, they’re good for your health! This is a tough one as there are a lot of people out there who still love to match the drapes with the sofa with the pillows, etc. Just remember that too much of a good thing is a bad thing, so find patterns that complement each other rather than match. When vessel sinks first made their appearance 15 (or so) years ago, they quickly became associated with luxury, but their height makes them inconvenient and uncomfortable. It doesn't matter what the circumstances are. Taxidermy is not alright. That is all. Wall-to-wall carpet used to be considered a good – even luxurious – thing. But these days people think of it as a place for dirt and germs to gather more than anything else. While it can still be great in bedrooms, you might want to consider area rugs for other high-traffic areas. This one causes great debate as many people love leopard print – but it’s best left to a pair of shoes rather than something in your home. Leopard print tends to look tacky when applied to home décor. In the ’80s and 90s, faux paint finishes (such as sponge painting) saw a huge revival. But they were so overdone that now any walls with a faux finish look dated. If you’ve got them in your home, consider painting over them. It will instantly freshen your room. Live. Laugh. Love. Words and phrases displayed throughout the house make it feel like you’re living in a self-help book. 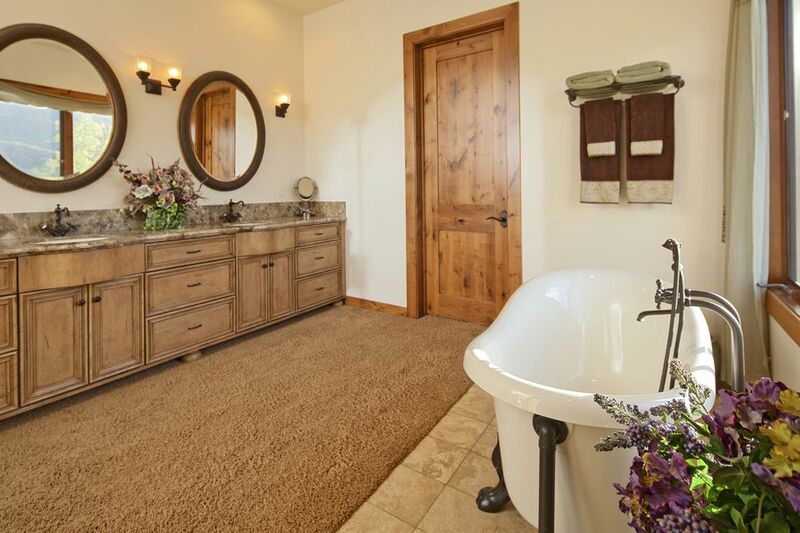 Imagine that beautiful carpet you've just installed in your bathroom becomes a pilgrimage destination for all those bathroom germs. Take a closer look, and you might be able to see them make their morning commute. Eww, gross. There’s no accounting for some tastes, and we're all bound to make some decorating mistakes. When it comes to your own home follow your instincts. After all, you’re the one who lives there, and you need to love it. Just don’t put carpet in the bathroom. Seriously. Have You Made Any of These Decorating Mistakes? 5 Accessories to Get Rid of Now!